Good news for travelers who love exploring and want some time alone. Perhaps you’re one of those people who’s always fantasized of living like a hermit in the woods one day, away from the hustle and bustle of the city. No neighbors. No one to bug you in the middle of the night. Or even in the middle of the day. You could finally be blissfully alone in the silence, never see a single soul, never see the sun if you wanted to. At the Canmore Caves in Alberta, Canada, your dream can be a reality — for a little while, anyway. 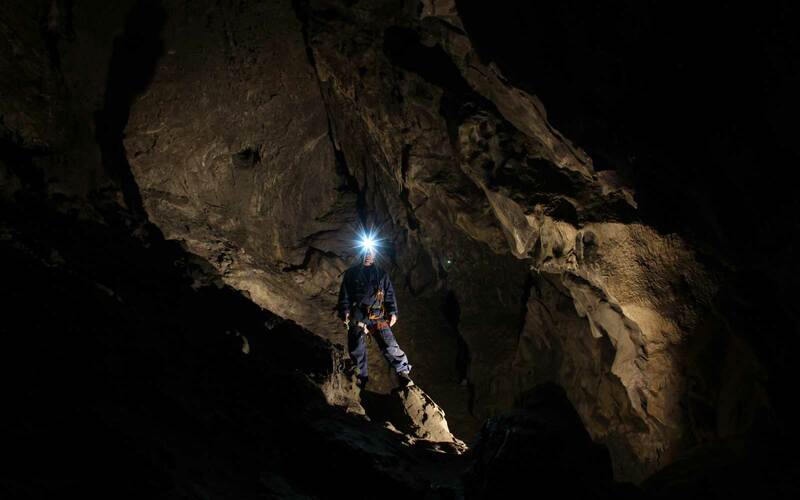 The caves have just kicked off a new tour called Solitude, where introverted adventurers can explore the caves with a guide. “Solitude is a private tour in Rat’s Nest Cave where you will have the guide and the cave all to yourself for up to four hours of underground time. On this tour, the cave is exclusively yours [for a] customised experience with one of our excellent cave guides,” Lenora Barnes, a spokesperson for the caves, told Lonely Planet. Once underground, visitors can do anything they wish. Pretend they’re in a spooky movie or take a nice, extra dark nap. Or sit and enjoy the deafening silence. If you’re not claustrophobic, the Rat’s Nest also has a “laundry chute”: a narrow section where guests have to squeeze their way through. Cave guides also recommend bringing a musical instrument down to record a track in the cave’s Grand Gallery — apparently the acoustics are amazing. The caves are located beneath Grotto Mountain near Canmore, a town about 50 miles west of Calgary, and are a part of Banff National Park. Canada’s parks offer free entry with a Discovery Pass for 2017, in honor of the country’s 150th anniversary.